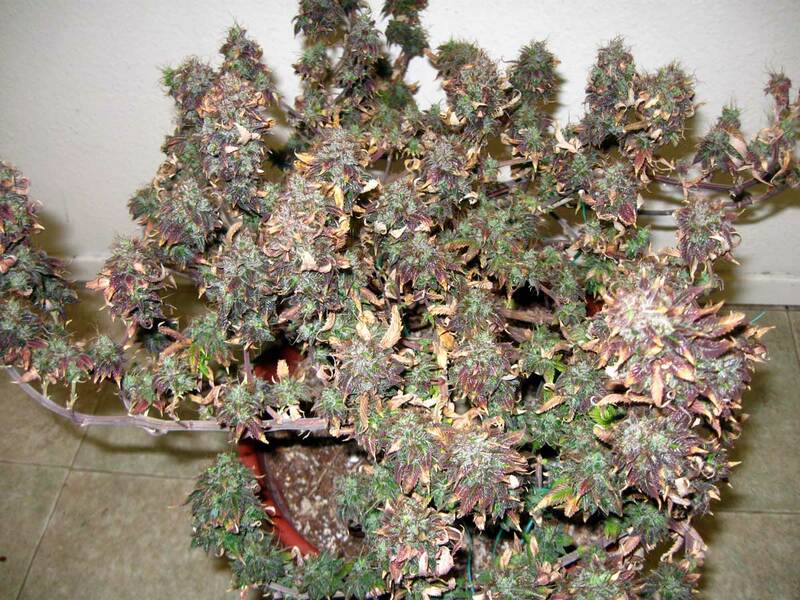 LED Grow Lights Can Burn Cannabis Buds?! When it comes to using LED grow lights for growing cannabis, it's important to keep the lights the correct distance from your plants to prevent bud burning and/or bleaching. 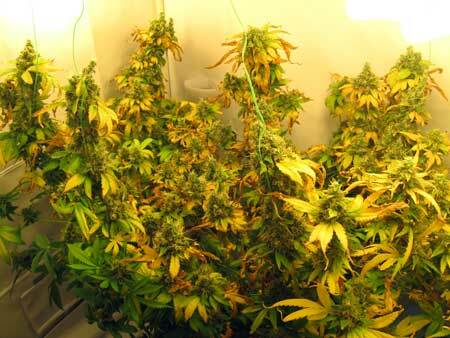 LED grow lights are amazingly bright and powerful! Many LEDs work best when kept around 18" or more from the top of the plant, but it's important to ask the manufacturer about the specific LED grow light model since each one is different from each other. The size of the LED bulbs, the way the lenses are made, and the angle the lamp directs light downward all make a big difference on how far your cannabis plants need to be without experiencing "sun burn" from LEDs. LED grow lights can burn your cannabis plants even in comfortable temperatures! It used to be thought that you could keep LED grow lights as close as you want because they don't get hot. 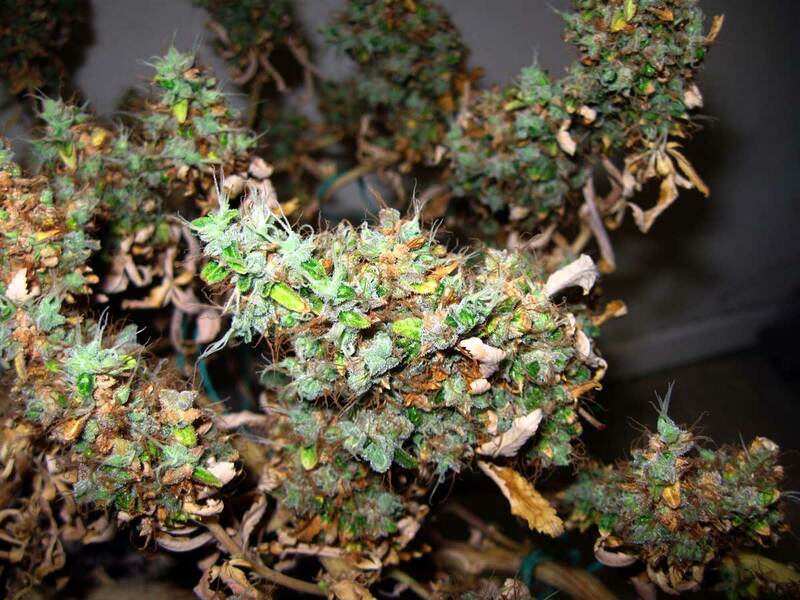 Unfortunately that's not true, LEDs can give your cannabis buds and leaves light damage even in cool whether. This is known as light burn. It's just like humans. We can get sunburn in cold weather. For example skiers often get sunburn because of the way sunlight reflects from the snow, even in 0 degree weather! It's not a matter of heat, it's the light itself that damages the skin and causes sunburn for humans. Plants are the same way. They can only process a certain about of light and then they start running into problems. Learn more about light burn here. Light is like food for plants, so imagine what would happen to you if someone kept forcing you to eat more and more food. Eventually you'd start to run into problems too! So LED grow lights need to be kept the right distance from the top of you cannabis plants to prevent unwanted discoloration and lowering the quality (and possibly even the potency!) 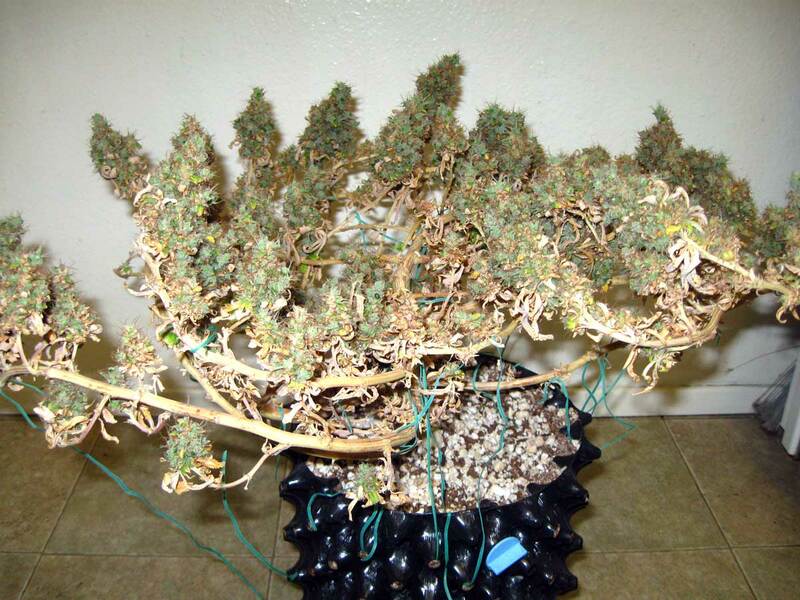 of LED grown buds. The next bud is huge, right? It kept putting out "fox tails" (new thin bud growth on top of old bud growth) because the buds underneath were damaged by too much light from an LED grow light. These types of damaged buds are fat but not that potent as a lot of the good stuff is "burned away." They're also more likely to rot from the inside out since the middle parts are mostly dead. 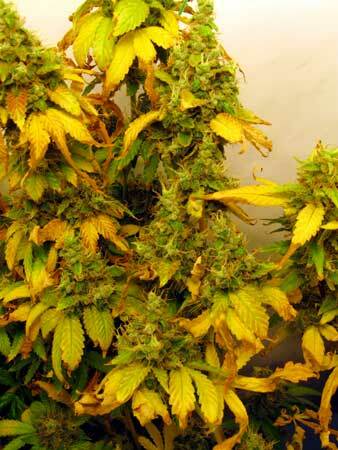 Notice how the top of this next plant is yellowing – you don't want this or your buds will stop growing! If the yellowing is allowed to spread, the sugar leaves on the buds will also turn yellow, and buds will be left with many yellow spots. Anyways, I hope that was informative! If you notice your top leaves and buds appear to be getting burnt under your LED grow lights, I recommend moving them to 18-24" above the plant and see if the problem stops spreading! 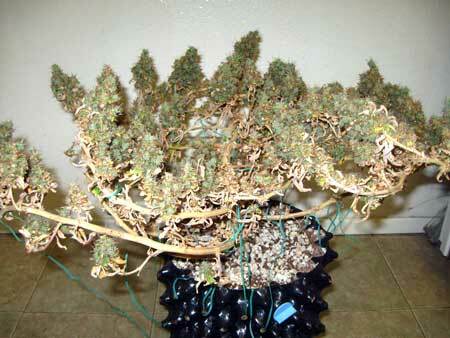 That seems to be the most common recommendation by companies that make LED grow lights. If in doubt, always contact the LED grow light manufacturer directly for their specs on how far to keep LEDs from your cannabis plants.